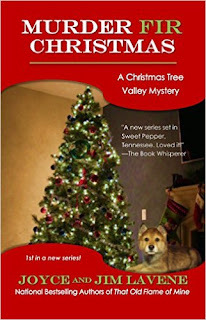 I have to start off this review by saying that the Sweet Pepper Fire Brigade mystery series is one of my favorite cozy series. When I heard there was going to be a spin-off series, I could not wait to get my hands on the first book. I am not disappointed. In fact, I’m amazed at how much I loved this one. 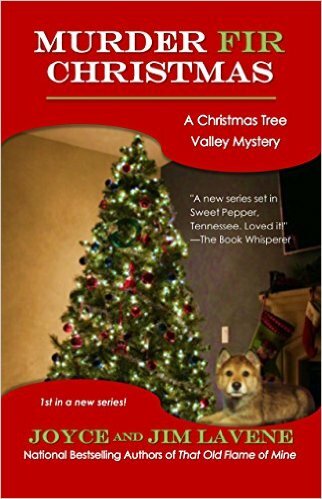 The perfect cozy mystery especially for the Christmas season. In this series we meet Wildlife Agent Bonnie Tuttle. 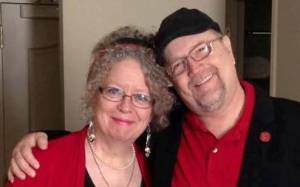 She grew up in Sweet Pepper but due to some personal problems, she left and moved to Alabama. Now, she’s back in her hometown to help her family. Bonnie's first day back is a busy one to say the least. There’s a fire and the wildlife agent she is replacing is murdered. She, also, has a special gift with animals. As an animal lover, that makes this character even more special to me. She manages to save a wolf that was hurt with the same bullet that killed the wildlife agent. She plans to integrate the wolf back into the wild, but the wolf seems to have other ideas. Bonnie sets out to assist the police in the investigation of the murder. She quickly remembers how small town gossip spreads and her past might not stay in the past for very long. However, she’s intent on her current job and finding out who killed her predecessor. The Lavenes once again outdid themselves. This story has it all – there’s a ghost, mystery, adventure, a little romance and a mystical air surrounding this storyline. It’s a quick read with an amazing cast of characters. Each one is so realistic and touches your heart with so many different emotions. I do hope Jim can find a way to keep this series going. I only wish Joyce were here so I can tell her how much I loved this one. Sounds like a fun holiday themed cozy mystery. I truly loved this book as I love all of your series. Thanks, Yvonne! I loved Murder Fir Christmas, too! Is this a spin-off of Sweet Pepper? Definitely gotta check it out! I have really enjoyed all the books I've read by the Lavenes so this automatically went on my TBR. I do want to read the JJ Cook series and I'm definitely intrigued that this is a spinoff. Great review! This sounds like a great book, thanks for the review which makes me want to read it even more. I hope Jim can continue, too. This looks like a great holiday read! Thanks for the giveaway. The book sounds like a fun cozy! Thanks for hosting this terrific giveaway. Great review! I love Joyce and Jim Lavene's books.